Many factors contribute to structural defects in your barn or timber frame. Environmental factors, lack of maintenance or original design flaws are common causes for sagging, leaning or sinking over time. Woodford Bros., Inc. specializes in the restoration of buildings with significant problems, including post and beam structures, some of the oldest and proudest buildings in Central New York. Our work involves foundation, floor, framing, roofing and structural repairs. If your barn or timber frame is failing, tipping, cracking or sinking, call Woodford Bros., Inc. today to schedule your FREE estimate. 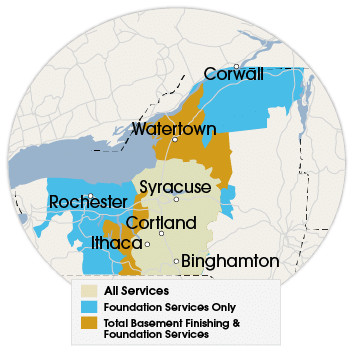 We proudly serve homeowners in Syracuse, Binghamton, Utica, Rochester and nearby. Call today! 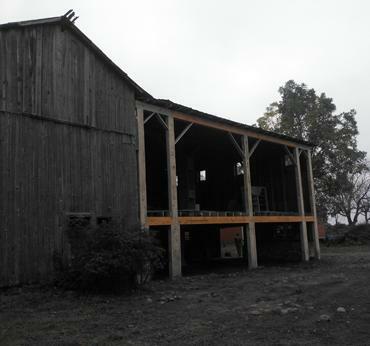 Restore structural integrity and utilize your barn again! Let us make your barn, timber frame or other failing structure on your property look new! Woodford Bros., Inc. leveled floors, stabilized walls and reinforced the roof. We straightened the roof line and restored the barn to usable condition. Slide for the final result!